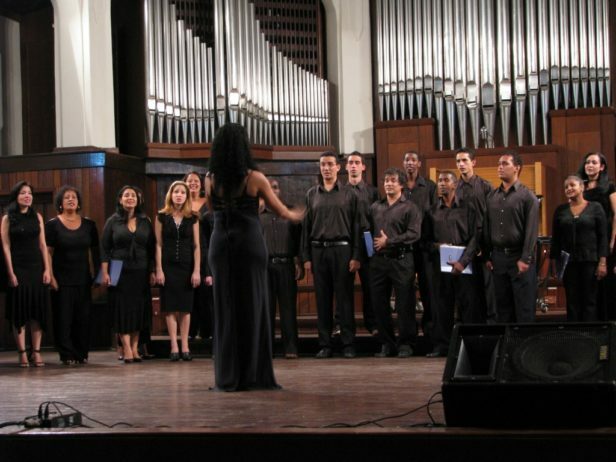 The International Choir Festival Cuba was established in 1931 and takes place every two years in Santiago de Cuba, the undisputed choral capital of the Caribbean. We are delighted to offer a unique festival accommodation package for the forthcoming event taking place from 27 October – 4 November 2019. 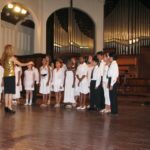 This small and exciting festival provides the opportunity to sing in prestigious venues in Santiago de Cuba, and to also be involved in specially organised local community choral activities in outlying areas of the city. The highlight of the festival is the final evening when all of the choirs sing their way through the streets by torchlight to meet in the main city square for an unforgettable musical finale. Choirs from all over the world come to Santiago to be involved in this joyous festival and we hope you will come too. Individuals who are not singing but who love music are also welcome. 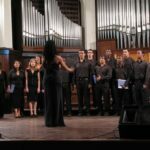 The International Choir Festival Cuba takes place in Cuba’s second largest city, Santiago de Cuba – widely regarded as the musical heart of the country. Alongside the scheduled concerts, choirs are invited to participate in a programme of community workshops. 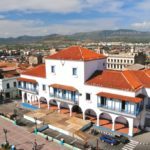 Main festival performance venues will be the well known Sala Dolores and the Santiago Music Conservatory as well as Santiago cathedral, local community venues and El Cobre basilica close to the city. We can book international and domestic travel to complement the choir festival package, and we also provide the required visas for your visit as well as anything else needed by festival visitors to make this an exciting and unforgettable experience. 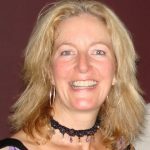 You will have the opportunity to book additional singing, dance or percussion lessons (at extra cost – not included in the main festival package price). Try your hand at some Afro-Cuban rhythms with top professional local musicians, or learn how to dance salsa Cuban style. 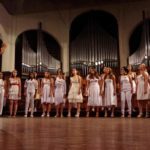 The choir festival takes place from 28 October to 3 November 2019. 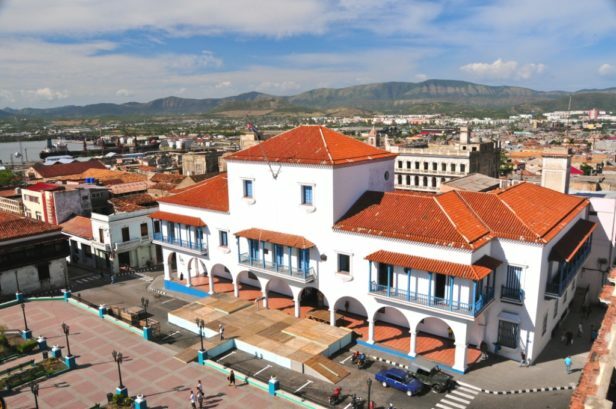 We have allowed for two nights in Santiago de Cuba before the festival starts to have time to explore and relax after arriving in the city. – Choir Festival: registration allowing full access to all concerts, workshops and presentations (as well as your own choir’s scheduled performances if you are performing); an invitation to the Civic Reception on the opening night with an official welcome from the head of the city council and the festival organising committee; an official certificate of participation in the festival. Please note that the cost does not include any international flights/domestic travel/arrival transfers/Cuban visa. Anyone who is not singing in the choir festival but loves music is also very welcome! 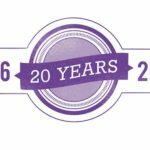 We can easily organise an extension to the choir festival itinerary dates so just let us know where and when you are arriving, how many days you would like us to organise for you and we will put together a programme to suit. Group transfer to Havana airport for domestic flight from Havana to Santiago. Group transfer on arrival Santiago and to homestay. Dinner at homestay accommodation and rest of day free. Cost: dependent on group numbers, please contact us on info@caledoniaworldwide.com for a quote. 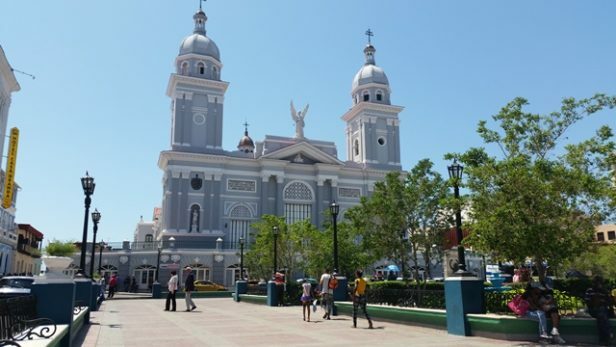 There is an international airport in Santiago de Cuba, but only a few airlines fly direct to this city. Most scheduled airlines will fly into Havana which is at the opposite end of the island or into Holguin, a 2 hour drive away. From Havana you will have to travel on to Santiago, either on a domestic flight or by long distance bus, and from Holguin you will need a private transfer as there is no public transport serving the airport. We can arrange both international flights to Cuba and domestic travel within Cuba. Our ATOL licence (ATOL 6387) offers people booking flights or package holidays extra protection in the event that an airline is unable to provide your flight. This is only applicable to UK residents or anyone departing on an international flight from a UK airport. For full information please refer to this website: www.caa.co.uk/atol. 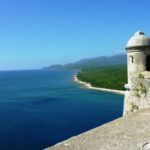 There are direct flights from Canada (Toronto/Montreal), Germany (Frankfurt/Munich) and the UK (Manchester/London Gatwick) direct to Holguin in the south east of Cuba, just a 2 hour drive from Santiago. These flights usually operate once or twice a week. Please note that for travellers arriving direct from the United States, we cannot book flights from any US airport to Cuba, nor the travel visa, as these must be organised by an authorised US travel company. Ask us for details. Most international flights will arrive into Havana from Europe and North America. We can organise your onward travel from Havana to Santiago by plane or long distance bus. 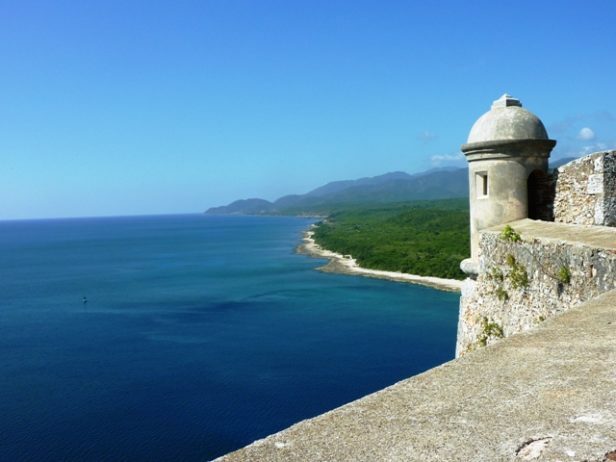 There are 1-2 daily scheduled flights between Havana and Santiago de Cuba, costing approx. £145 one way. The flight is 1 hour 20 minutes. 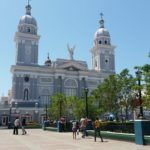 There are daily scheduled departures between Havana and Santiago de Cuba on the national bus service, in air-conditioned comfortable coaches. Journey time is 12-16 hours depending on which service you book (daytime and overnight options). The cost is approximately £60 one way. If you are travelling as part of a group, we can organise a private minibus or coach transfer for you. From Havana, the journey time is around 12 hours and from Holguin, approximately 2 hours. 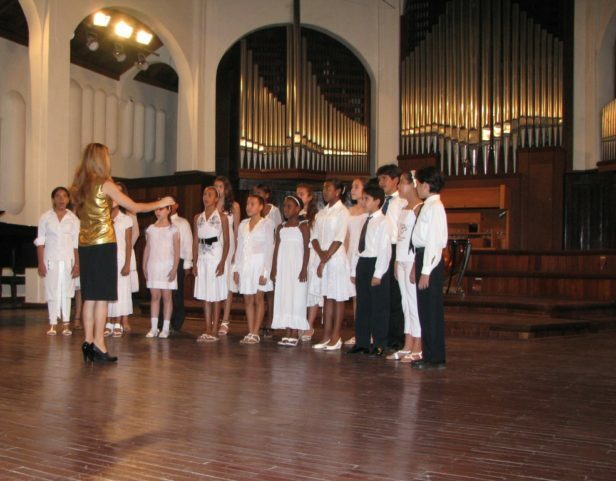 In Santiago de Cuba we have included selected homestay accommodation in the Choir Festival package. Please see below for more details. Hotel accommodation is also available but is limited during the festival dates. 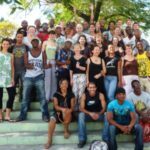 Homestay accommodation gives you the perfect opportunity to have an insight into Cuban life. 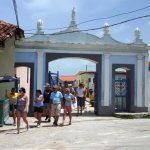 As we have been organising trips to Santiago de Cuba for over 20 years, we know all of our homestays personally and can vouch for the quality and standard of the accommodation. All our homestay accommodation is licenced by the Cuban government and is regularly inspected. You can be reassured that you will be staying in homes which offer a professional level of service, a high standard of cleanliness as well as a friendly welcome, ensuring you are comfortable and that you feel right at home. Homestay accommodation is very independent and you can come and go as you please. You will not have your meals with your hosts, but you will always have someone to chat to if you want to practice your Spanish. Another advantage of staying in our selected homestays is that they are all centrally located in the city, within easy reach of the main festival venue. We can organise single or double/twin rooms (the latter is only for 2 people booking together). Triple rooms have limited availability. All bedrooms are equipped with air-conditioning and often an electric fan as well, and guests will have their own private bathroom with hot water for showers. Breakfast is included every morning, and to allow for greater flexibility with evening arrangements, we have included dinner on 5 nights only. Meals will provide excellent home cooking and special dietary requirements can be catered for without any problem as long as we know in advance. It is not usual for homestays to have any self-catering facilities. There are a number of good 3* and 4* hotels in Santiago but availability is limited during the choir festival period. Costs vary according to the category of hotel you would like to book and all rooms have air-conditioning and ensuite bathrooms with hot showers. For more information, contact us on info@caledoniaworldwide.com to discuss options. All visitors to Cuba require a visa to enter the country known as a Tourist Card*. We can issue Cuban tourist cards for a cost of £25 (£20 + £5 admin fee). If you live outside of the UK, we can arrange secure delivery by courier for which there are additional costs. The visa is valid for 30 days from the date you enter Cuba. Please note that your passport must be valid for at least 6 months from date of entry to Cuba. Some nationalities will have to apply direct to a Cuban consulate for a visa (for example, if you have an Indian passport). Please check with us first. *Anyone (US and non US citizens) flying direct from the US to Cuba must apply for the required visa direct with an authorised US travel company. We are not able to provide the visa if you are flying from the US direct to Cuba. Ask us for details of where you can book your visa in the US. To book your choir for this festival, all you have to do is contact us and let us know where your choir is based, how many people are planning on coming and what your travel plans are likely to be. If you would like us to arrange extra travel and accommodation not already included in the one week choir festival package, we will provide options and costs for you to consider. Once you have approved our proposal, we will email you our secure online booking form and then when we have the completed forms, we can start to get your trip organised. Easy! Spouses, partners, friends and children are all welcome to join you on this musical adventure in Cuba. Please note that the CUT OFF DATE for 2019 festival registration is 30 APRIL 2019.